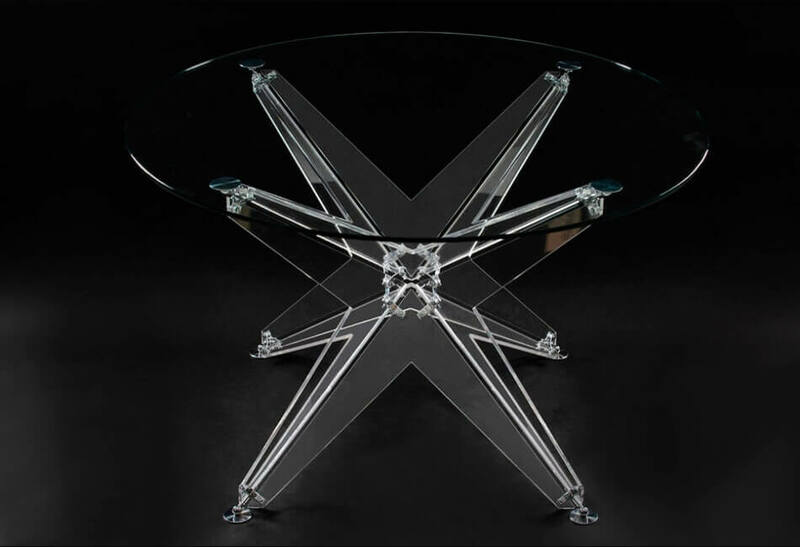 Crystal table shows the visual process of crystal formation: the same light rays emanate from the center of a perfectly symmetrical and lightweight design. 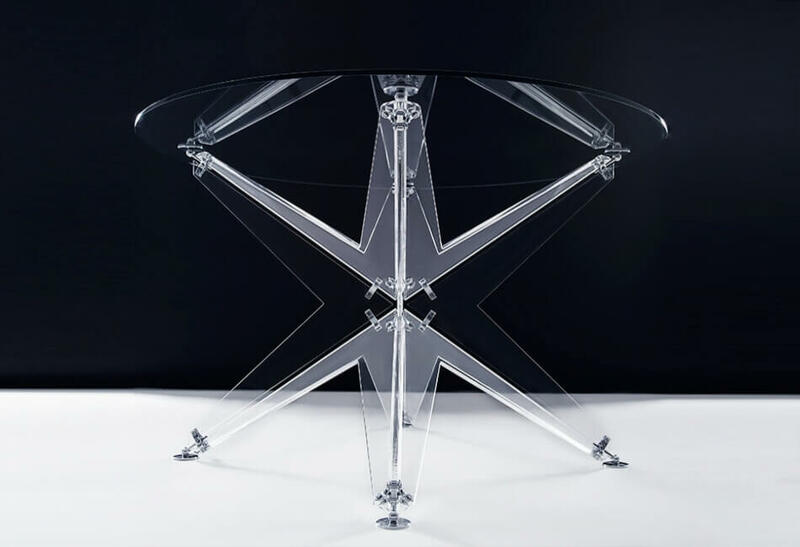 Plexiglas elements are connected with parts made of polished steel. The original design of the Crystal looks harmonious in residential and office spaces.